﻿Do you know someone who has an uncanny ability to stay calm and win over others, even when they are being attacked? Have you ever wondered why even though you knew you shouldn’t say something because it would hurt your cause, you blurted it out anyway? Do your know someone who is unbelievably ignorant of the impact their moods have on others? In today's episode of "Why It Works," author and columnist Justin Bariso reveals some of the hidden mechanisms behind why EQ works. We explore the power of pausing before we speak, what we can learn from former FBI lead hostage negotiator Chris Voss about empathy, and how we can salvage and even benefit from situations of emotional hijack. Justin Bariso is an author and columnist who writes weekly on the topic of emotional intelligence. Over a million people a month read his Inc.com column, and his work has been featured by TIME, NBC, and Forbes, among others. His new book, EQ Applied, has quickly become one of the best-selling books on emotional intelligence. It uses fascinating research, modern examples, and personal stories to illustrate what this quality looks like in the real world--and teaches you how to make emotions work for you, instead of against you. 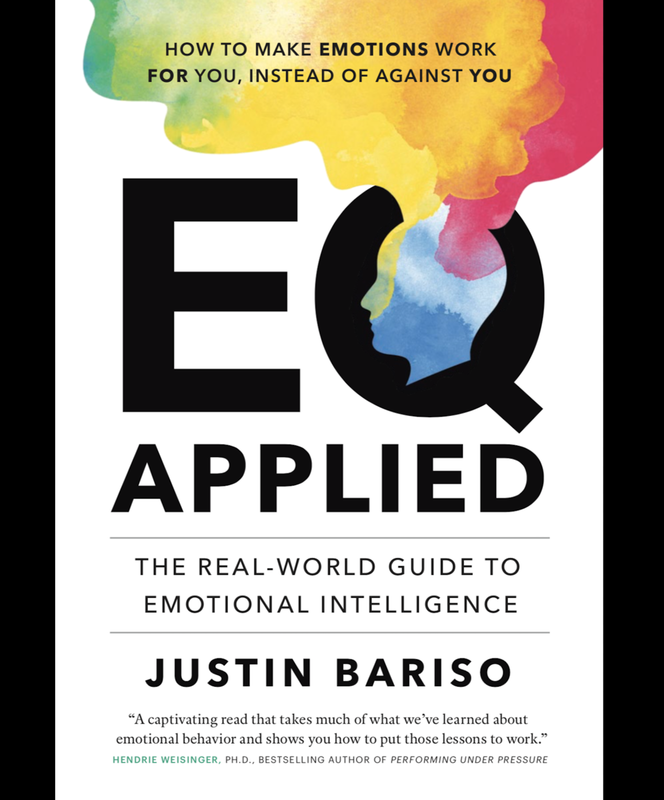 A great book to go with this episode is EQ Applied: The Real-World Guide to Emotional Intelligence, by today’s guest, author and columnist Justin Bariso. Filled with fascinating research, modern examples, and personal stories to illustrate how emotional intelligence really works. Learn now to make your emotions work for you, instead of against you.